When using a standard bait rig, there are many knots to be tied and it can be very time consuming. The process being slide an egg sinker on the main line, tie on a swivel, tie on a leader, and tie on a hook. This setup works just fine and has for years. 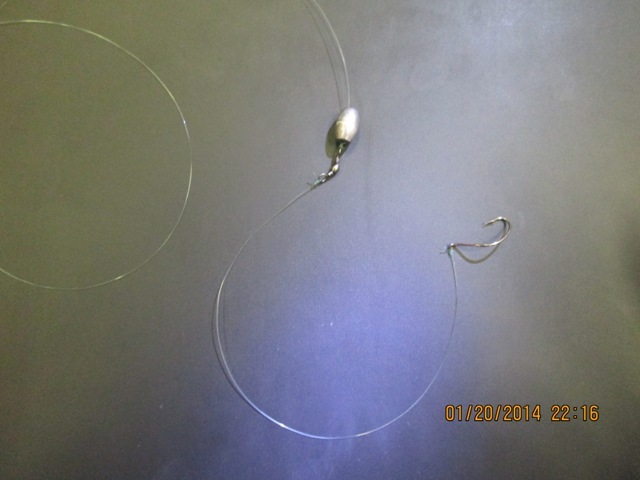 Standard bait rig tied with a swivel. 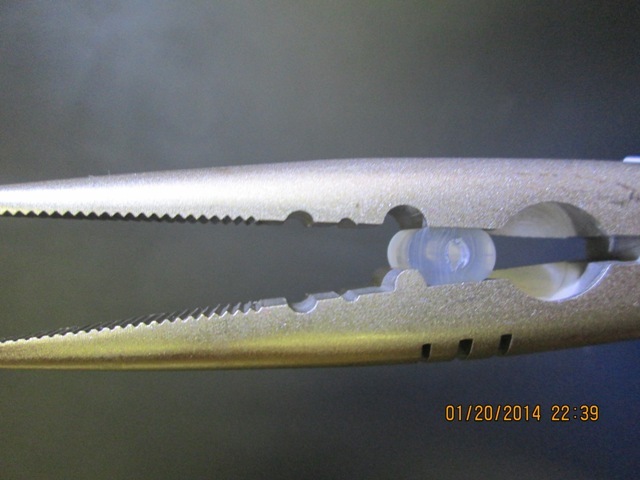 For an equally effective and much easier setup, try using a stopper (keeper). Standard bait rig with a stopper. These plastic cylinders are small, light, and unobtrusive. They have a small slit in the middle of them. Simply compress them using a pair of pliers, and insert the line. Once you release pressure the stopper will hold tight to the line. The nice thing is once it on the line adjusting the leader length is a cinch. These will work great with Powerbait Dough and Powerbait Eggs or with a mallow/crawler combo. 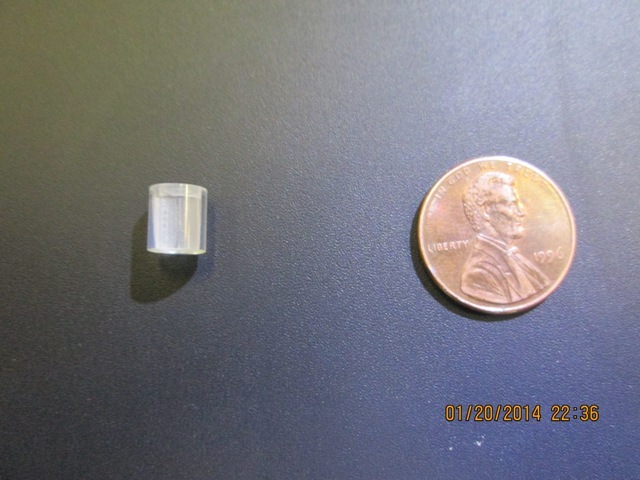 Stoppers come in two colors, clear and red. 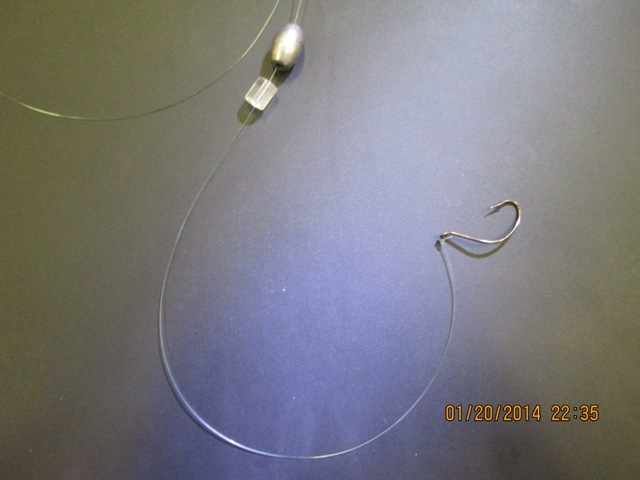 Stoppers can be used to fish bait rigs for trout but, they were designed to be used for bass fishing. 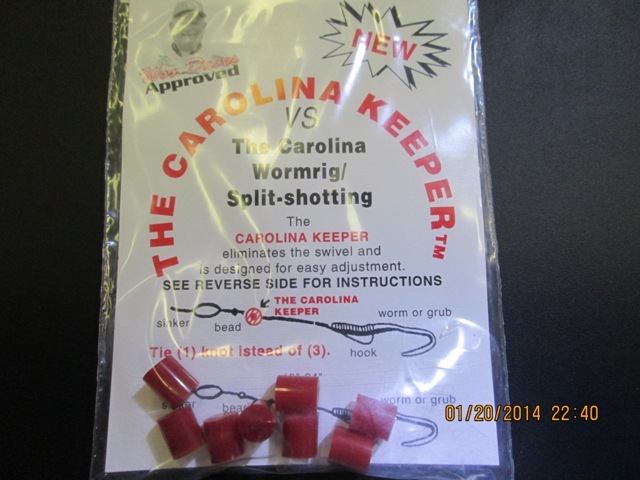 They work great for Carolina rigs and light split-shot rigs as well. This is a good accessory for any anglers tackle box.